Feist: A Pop Star With A Punk-Rock Past The Canadian singer-songwriter behind the 2007 smash "1234" is back with her first album in four years, Metals. 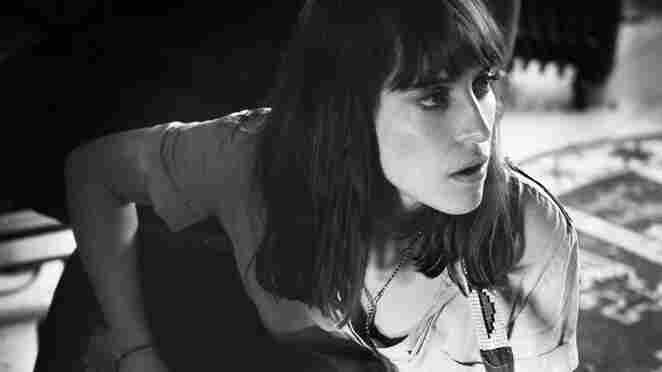 Though she's made her name with sunny pop, Feist began her music career as a raw-throated teenage rocker. Feist's new album, Metals, comes out Oct. 4. It's been four years since Leslie Feist released "1234," the career-making single that also became a testament to the power of a still-nascent YouTube. Feist, who performs under her last name, took some time off from performing after that surge in popularity. But she'll return next week with Metals, her first new album since 2007. Feist may have made her name with sunny pop, but as she tells Morning Edition guest host David Greene, she got into music as a teenage punk rocker. "I lived in Calgary at that point," she says, "and my world was super-limited. I was in choirs and stuff. But I was also starting to go to gigs that were happening at the community halls." Feist fronted a Calgary punk band for several years, during which time she met Brendan Canning, her future bandmate in the indie-rock collective Broken Social Scene. She released her first solo album, Monarch (Lay Your Jewelled Head Down), in 1999, and followed it with 2004's Let It Die — her major-label debut, which featured the song "Gatekeeper." " 'Gatekeeper' was sort of my first attempt to put a little bit of a frame, or boundaries, around songwriting, and try to figure out a way to approach it that had an end result in mind," Feist says. "I haven't written many like that. 'Gatekeeper' was sort of like, 'I think I know what I want it to be about, so how do I go about writing about that?' "
It was Feist's fourth album, The Reminder, that birthed "1234" and its clever, colorful music video. The latter was featured in an iPod commercial and became a YouTube smash, and the song reached a younger audience when Feist performed it (with revised lyrics) on Sesame Street. Time magazine ranked it at No. 2 on its Top 10 songs of 2007. But what's funny, Feist says, is that her original vision for the song was more in line with her punk roots. "When I first played '1234,' it was on stage in San Francisco, in some kind of sticky-floored club, and it felt like a punk song," she says. "I know it's ridiculous to say that now, but it had a kind of piercing straight melody, and then this fist-pumping ending. ... It just felt so simple in an absolutely non-patronizing way, and it's so funny that the song I approached with that sensibility became what it did, and turned everything on its head." Metals arrives in the U.S. on Tuesday. Feist says the title is about mutability. "Metals can be found unforged and raw, and molten in the center of the earth," she says. "But they can also be highly refined and turned into little tiny jewelry."